Destroy everything in sight with THREE DIRTY DWARVES. Utilize the special weapons of three dwarves to bash everything in 15 non-stop levels of action. While in the middle of the game, you can switch between the three dwarves to smash the evil orc armies and other big city villains. If you have two friends, the three of you can challenge the game together on one of three different difficulty settings. 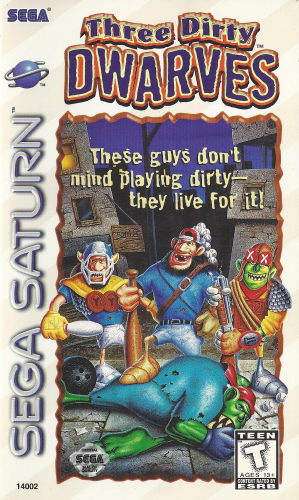 In THREE DIRTY DWARVES, the name of the game is destruction.